Kerala in southern India is a traveller's true delight. The state has a charm and flavour of its own. During your holidays in Kerala, you will visit popular backwater destinations, crowd-free beaches and a number of monuments belonging to the Dutch and the Jewish era. The Coconut Holidays in Kerala tour is specially designed to help you uncover almost everything that makes Kerala one of the most coveted travel destinations not just in India but all across the world. The backwaters of Kerala, stretching over a length of 900 km, has so much to offer in terms of culture, scenic beauty and wildlife that you'll only want to spend more days in the state. 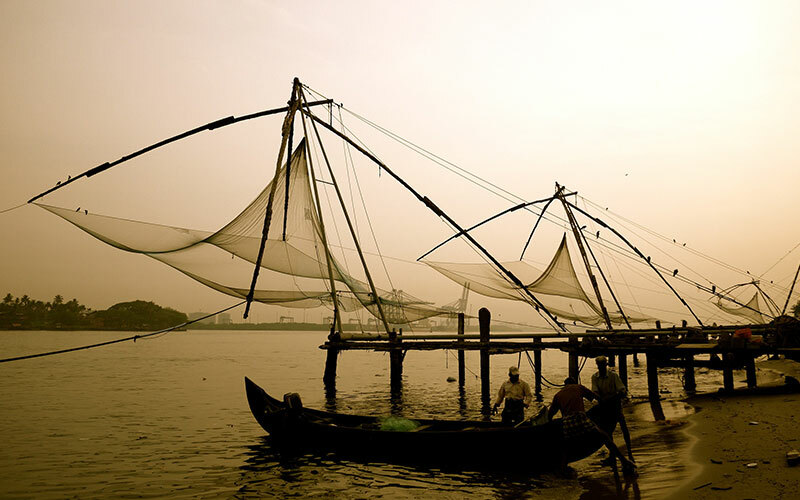 Start with a sightseeing tour of Cochin, which is globally known for its unique Chinese fishing nets. Other things that make Cochin worth travelling to include historical attractions like the Dutch Palace, the Jewish Synagogue and the St Francis Church. A visit to the very popular Periyar Wildlife Sanctuary will open your eyes to the abundant wildlife riches of Kerala. 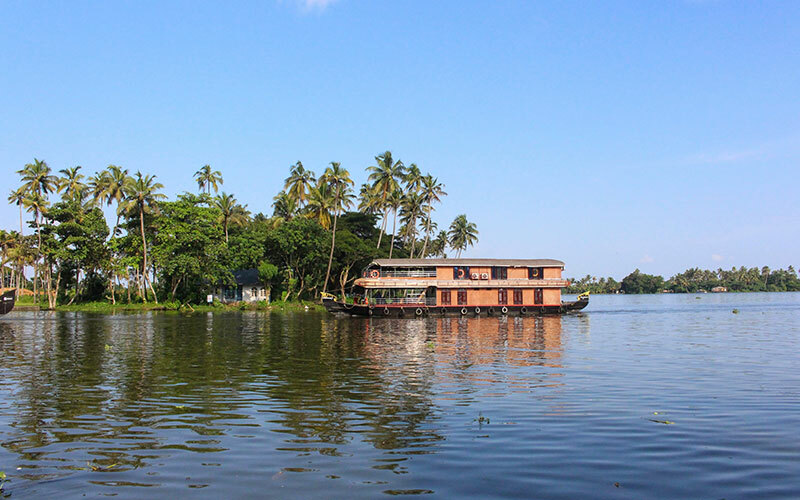 View a wide variety of wildlife while cruising along the Periyar Lake in a beautiful houseboat. Later, travel to Kumarakom, one of the most visited backwater destinations in Kerala. Set in the backdrop of the Vembanad Lake, the largest in the state, Kumarakom is visited both for a wide variety of flora and fauna and the lifestyle of its people . This town is home to the Kumarakom Bird Sanctuary, where you can spot a number of migratory bird species. Wide expanses of mangrove forests, paddy fields and coconut groves give the town of Kumarakom a picturesque look. While driving to Mararikulam, you can feast your eyes on more coconut palm groves. All in all, you'll love every moment of your stay in Kerala during this charming tour – for sure. After breakfast take a wildlife-viewing cruise on beautiful Lake Periyar and enjoy watching the amusing wildlife from as close as you can. Periyar wildlife tour has a variety of wildlife to please you elephants, monkeys, deer, bison, wild boar and a number of rare species of birds. After lunch, we will proceed to visit the lush green spice plantation. Overnight stay at hotel in Thekkady. Today after breakfast take a tour to Kumarakom Bird Sanctuary and some of the farmhouses in Kumarakom. Rest of the time is free for independent activities at resort. While your stay at the resort explore the scenic beauty of the place as much as you can. Overnight stay is at resort in Kumarakom. Day is free to relax and exploring the beauty of the nature at Mararikulam. Enjoy the beauty and uniqueness of the place which no other place can offer. Overnight stay is at resort in Marari. After breakfast, you will be transferred to Cochin airport to board flight for onward destination.